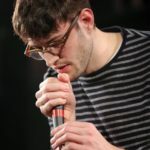 Ben See is a singer and composer from London. He also leads several choirs and singing projects around the UK. He is currently writing two orchestral scores as part of the #AdoptAComposer scheme as sponsored by BBC Radio 3. Ben’s music has been played on BBC 6Music, BBC Radio 3, BBC London and Resonance FM. 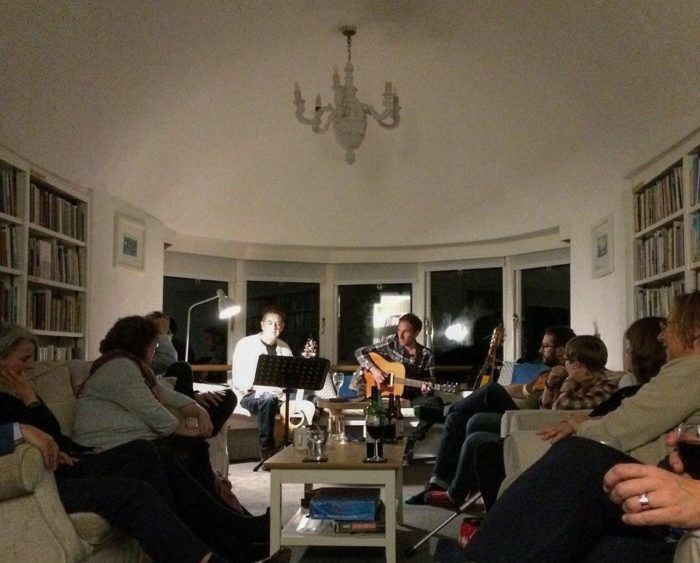 Ben came to Tŷ Newydd on a Poetry and Songwriting course led by Paul Henry and Brian Briggs in October 2018. For the past year or so I have been looking for a course which explores the relationship between words and music. As a composer and choir leader I spend lots of my time bringing words to life with music. I wanted to find a course which would connect me with text and language through a different means, and maybe even push me to write a poem. Eventually, I chanced upon Tŷ Newydd, and a weekend called ‘Poetry and Songwriting’ with poet Paul Henry and songwriter Brian Briggs. It sounded like just the ticket, and to make it even sweeter the course would take me out of London and into the glorious Welsh mountains. Fast-forward a couple of months and the weekend is upon us. Sixteen strangers armed with notebooks meet for the first time. Autumn has dressed the trees and storm Callum is in full force. We settle our nerves over a delicious home-cooked meal and as conversation flows it becomes clear that we have an interesting mix of people and passions. Everyone brings something different to the table and we have so much to learn from each other. Poets, rappers, an actor with a love for Leonard Cohen, singers, a beatboxing performance-poet, composers, musicians and everything in between! After dinner we gather upstairs in the poetry library (a room so enchanting it should have its own Instagram account). Framed against countless collections Paul and Brian take us through the course structure, and we voice our ambitions for the weekend ahead. All of us are keen to push our work into new ground, and it is exciting to see where these individual paths will lead. At the end of the night we raid the shelves and retreat back to our rooms with pockets full of poems and high hopes for the following two days. Saturday is split in two. In the morning Paul and Brian guide us through various discussions and exercises, dropping little nuggets of inspiration along the way. The afternoon is time to ourselves to make the most of the stillness at Tŷ Newydd and develop our ideas. That evening, after another delicious home-cooked meal, we gather again in the library for an informal performance. Paul and Brian open with some stunning excerpts from their collaboration The Glass Aisle. Then follows an eccentric and eclectic mix of songs, poems and general madness from the group. Everyone offers something of their own and it is a great evening which binds us all together. We stumble to bed full of bounce. Sunday morning is the moment we have been building towards: we are due to share our new work with the group. Cups of caffeine assemble upstairs and nervousness fills the room. What follows is a moving and memorable morning filled with courage and cheer. Everyone performs something new, and it is a real privilege to watch people step outside themselves. There is an overwhelming feeling of celebration and pride. I don’t know if Tony’s cooking is the secret ingredient, or perhaps there’s something in the walls (the wisdom of countless wordsmiths who’ve come and gone over the years), but it is astonishing to think how much change can happen in such little time. I managed to perform my first proper poem, and I’m so grateful to everyone on the course for their kind ears. Thank you Tŷ Newydd for a memorable and formative weekend. I am heading south with a spring in my step and a head full of ideas. The place and the people have ignited a new passion for poetry, and I hope to be back soon. Even storm Callum could’t dampen an amazing weekend!